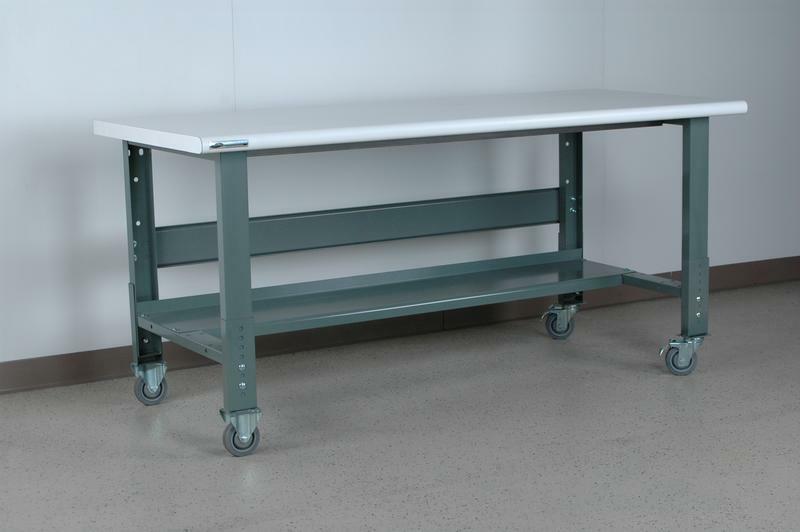 A set of (4) casters is available on any of our 3500 + 3505 series workbenches. The casters have a rubber over steel wheel with a heavy duty bearing and rig. All 4" casters have a 330# capacity each, and are welded to a 5" adjustable leg cap that will bolt onto the leg. The set has (2) rigid and (2) swivel casters; the sivel has a dual locking brake that completly locks the mobile bench when engaged.